A quick and easy recipe for coleslaw for those KFC goers! Simple steps which you can try this at home, a staple of picnics, barbecues, or any outdoor party. 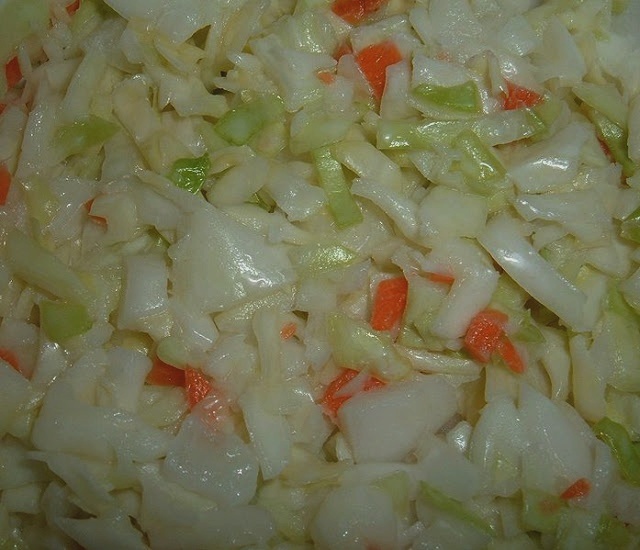 Though there are many versions of coleslaw available, heres a simple one. Using a grater or knife, core the cabbage and finely shred the cabbage, carrot. To prepare the dressing, in a bowl combine the buttermilk, mayonnaise, milk and lemon juice mix till well combined with a whisk. Add salt and pepper. Mix well. Pour dressing mixture over slaw, and chill until ready to serve, or serve immediately. Note: You may add raisins (some prefer to add sweetness to the salad) or green pepper (diced thinly).